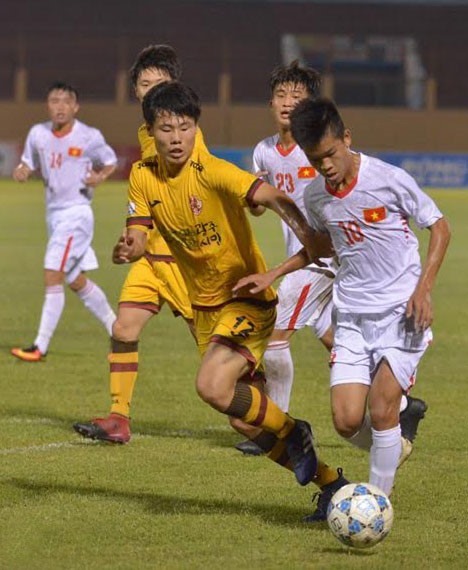 HÀ NỘI — Two Vietnamese representatives lost in the last qualifying round matches of the International U19 Football Championship in Nha Trang City yesterday. Việt Nam lost 0-1 to South Korean Gwangju FC, marking their first defeat in the tournament on home turf. The only goal of the match was by Jung Hoye-on towards the end of the first half. Việt Nam however lead the qualifier with nine points after four matches. Gwangju are second with eight points and are the only team who did not lose a single game. The two sides will see each other again in the final tomorrow.